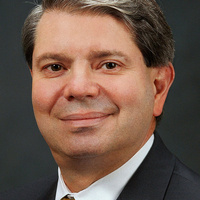 Dodaro became the eighth comptroller general of the United States and head of the U.S. Government Accountability Office in 2010, when he was confirmed by the U.S. Senate. Dodaro has testified before Congress dozens of times on important national issues, including the nation's long-term fiscal outlook and efforts to reduce and eliminate overlap and duplication across the federal government. In addition, Dodaro has led efforts to fulfill GAO's new audit responsibilities under the Dodd-Frank Wall Street Reform and Consumer Protection Act.